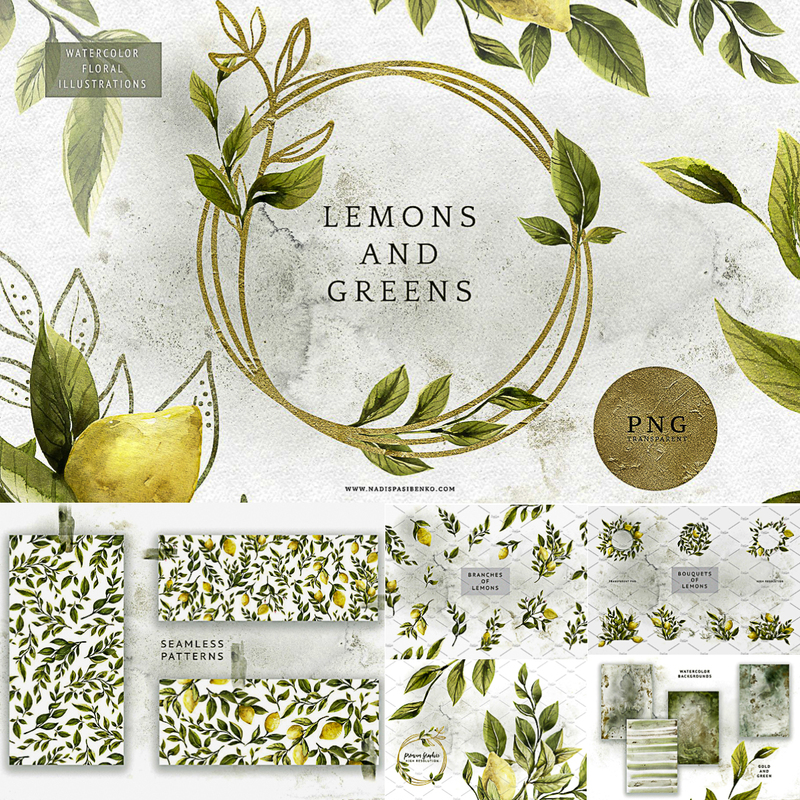 Introducing Big Package that includes: 27 PNG branches of green and lemons, 3 PNG seamless patterns of twigs and lemons, 4 PNG watercolor backgrounds, 22 PNG element branches and wreaths silhouettes, 1 EPS file graphical branches and wreaths. Perfect for Invitations, Stationary, Packaging, Greeting Cards, Websites. File format: .png, .ai, .jpg for Photoshop or other software. 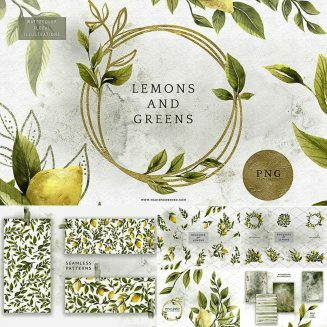 Tags: background, branches, floral pattern, greenery, greenery wedding, greens, lemon, twig, watercolor, wedding invitation, wreath.